Artists and urban explorers are reclaiming #Chernobyl to create a “Radioactive Festival” with music, art, photography, urban exploring, workshops and lectures. All profit is dedicated to the inhabitants of the Chernobyl zone. As our friend and colleague over at Bright New World, Ben Heard said: “my heart just exploded”. 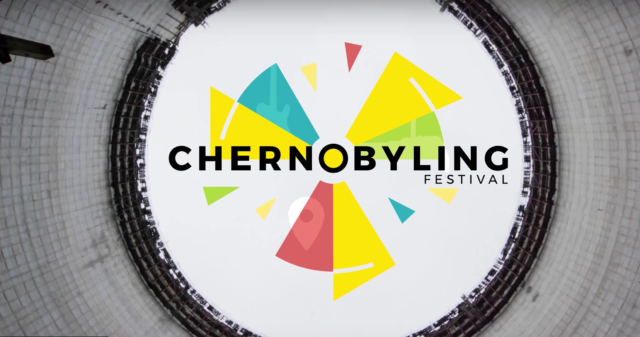 This ‘Radioactive’ festival joins together the people who love Chernobyl, Pripyat and the Zone itself, they want to explore it further and also get to know the human side of it. As well as 3 days full of adventure, new friendships, fun and relaxation, there is also a strong aspect of altruism: All the profit from the festival is directly dedicated to the inhabitants of the Chernobyl zone – also called the “Chernobyl babushkas” – for their medication, improving their living conditions (most of them live in very basic wooden houses) and the restoration of some items and houses, preserving them for the next generations. Chernobyl is not only the place of tragedy that changed the world, it is a piece of history, a memorial to heroism and a lesson for mankind and… it helped bring communism to an end. In order to make it complete, a place where people are willing to help each other again, a place of unity and true camaraderie, we need to make it live again! Watch the video by clicking here or on the image below. Let’s get an expert perspective on the accident at Chernobyl. Dr David Robert Grimes is a physicist and cancer researcher at Oxford University. He is a regular Irish Times columnist and blogs at www.davidrobertgrimes.com. Twitter: @drg1985. He was a joint winner of the 2014 John Maddox Prize for Standing up for Science.